Never compromise, and never settle for less. 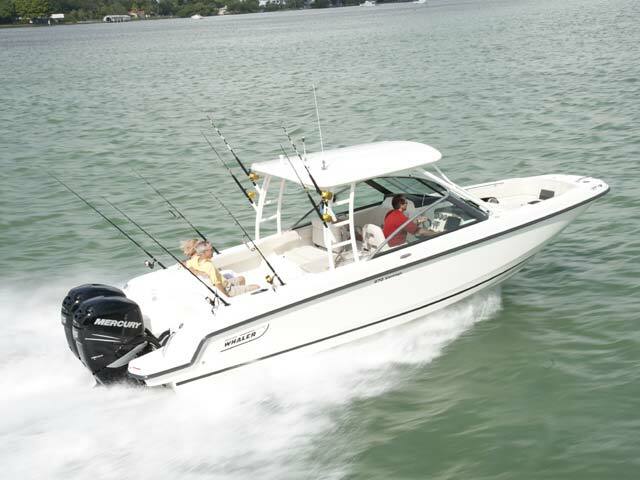 Beyond providing an incredibly smooth, predictable handling and unmatched ride quality, the Boston Whaler 270 Vantage is equipped for every activity you and your crew can dream up. 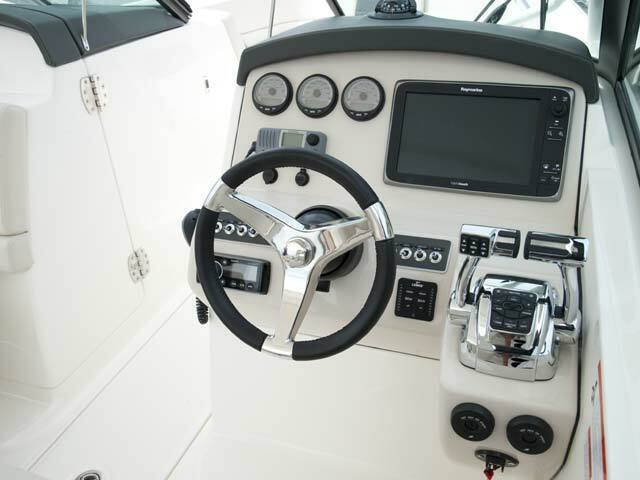 Eager for offshore fishing? 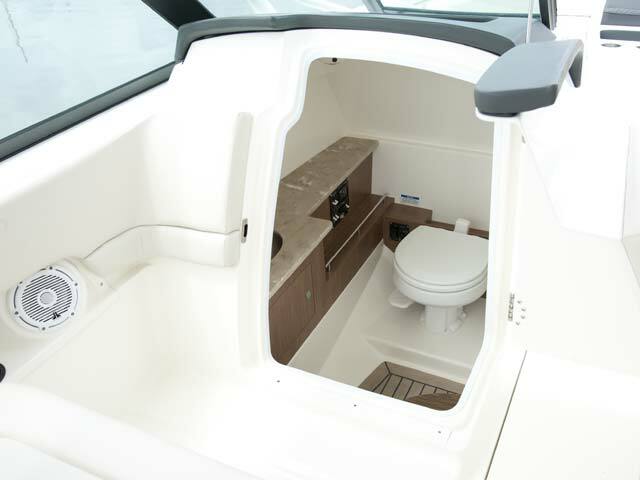 This dual console boat has you covered, with standard gunnel-mounted stainless steel rod holders and optional raw-water washdown, plus an optional fishing package featuring a 19-gallon lighted livewell, toe rails and stainless steel transom-mounted rod holders. 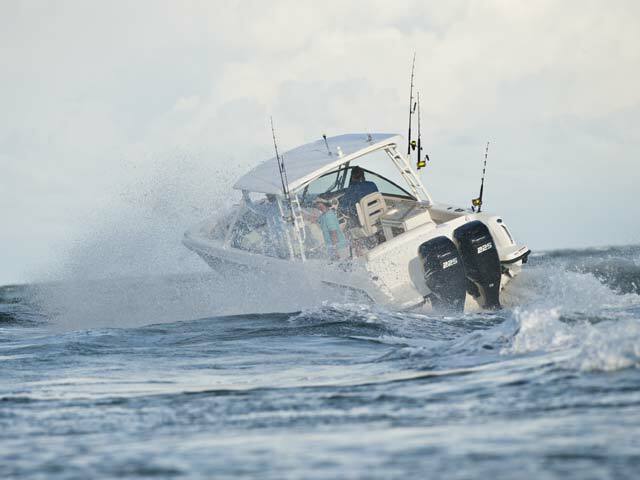 Craving watersports action? 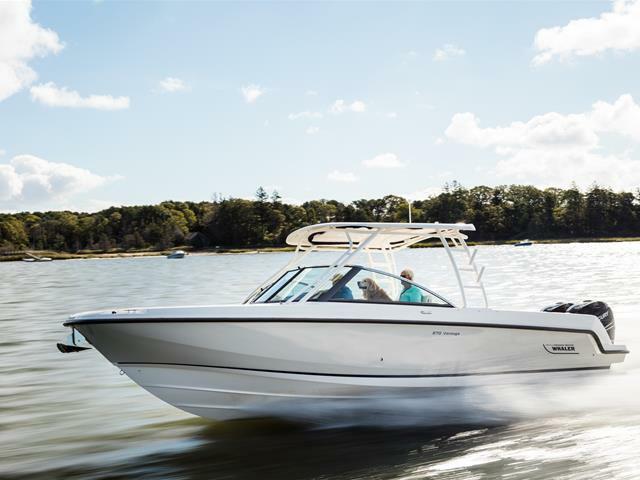 The optional tower with wakeboard racks and tow bit will take you to new heights. Entertaining friends? 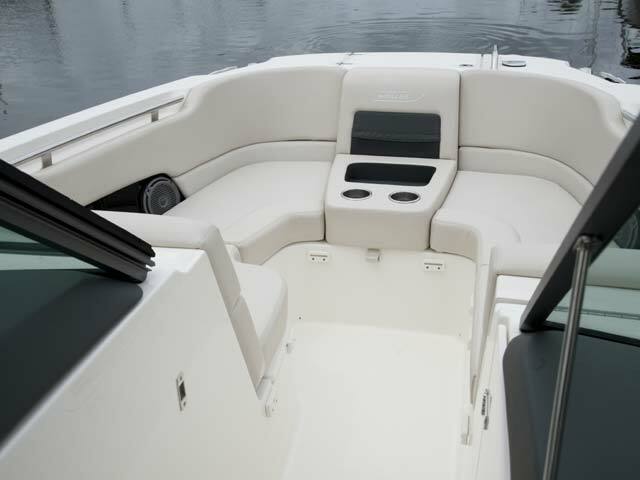 The Vantage’s extensive bow seating area with lounge backrests ensures comfort, a new Yeti cooler keeps drinks ice-cold and an optional Summer Kitchen with several luxury touches—such as a refrigerator, electric grill and tool holders—will earn raves. 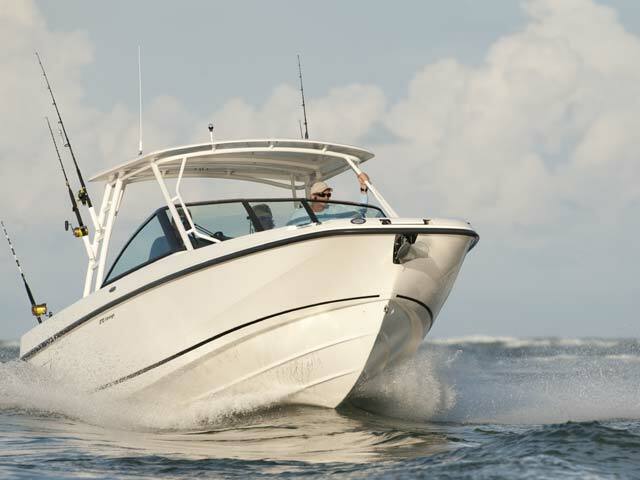 The newly available bow sunshade extends from the hardtop to provide extra protection from the elements, and huge rod and gear storage tuck everything away safely. 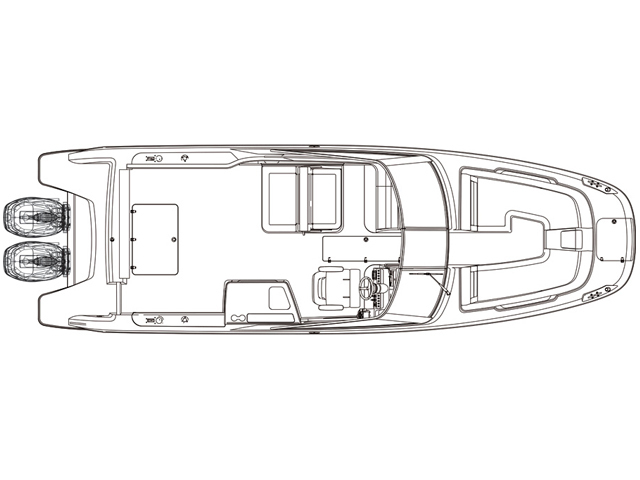 Step onto a new 270 Vantage and let it change your view on the possibilities.